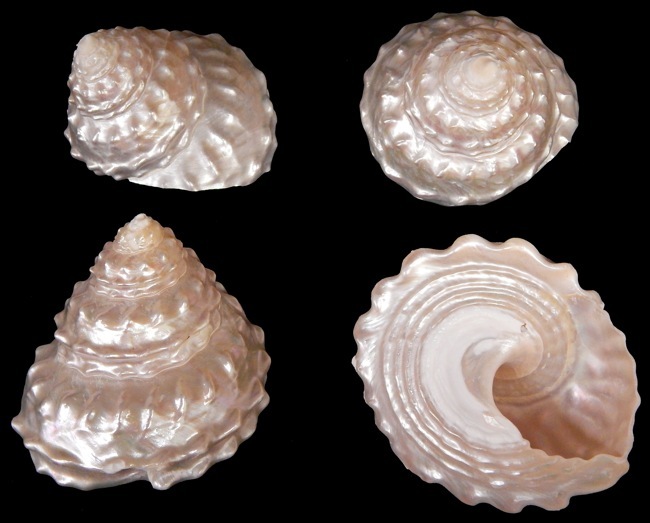 Astraea Undosa are sometimes called the Wavy Turban shell. The wavy turban is a gastropod. It has been found from inter tidal zones to depths of 250 feet. They are harvested for their foot along the eastern Pacific. 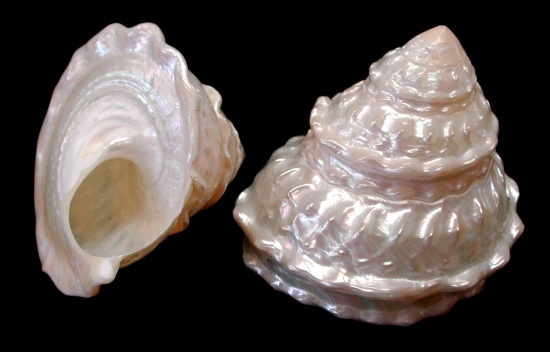 These shells are highly pearlized.